Frank Stoneberger Feb 26th Roosterfish on the fly. 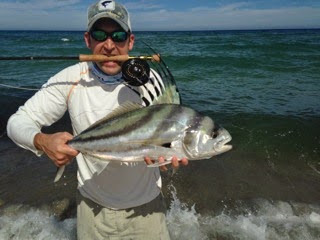 Its been a good winter for beach fishing... Just got to pick the windless days.. 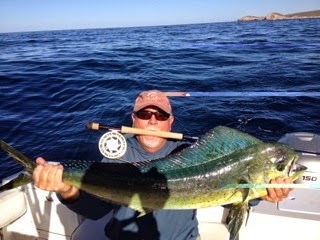 This day we got 8 Roo,s on the fly. 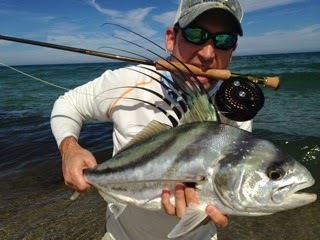 If you want to beach fish this March n April, just give me a shout and we will set it up. 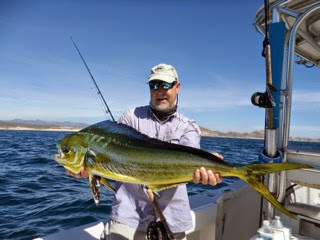 > Just wanted to drop you a note to say Alex and Jacob (I think I got that right) were absolutely great - they worked very hard to get me into fish and were very friendly. I got into a lot of fish. 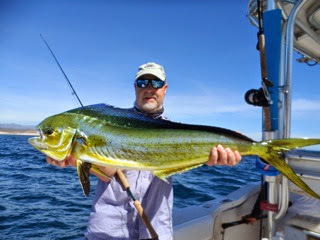 I even managed to hook a Dorado on a fly - which immediately broke me off - line was wrapped around the handle. Oh well. > This was a totally new experience for me. I learned a lot and had lots of fun. > If I make it back here I'd really like to try beach fishing. I suspect I'll be in touch. A pair of Jacks has it. So you will know! The best captain and mate I have ever worked with. The whole setup from the time we hit dock M until we got our fish filets was world class. 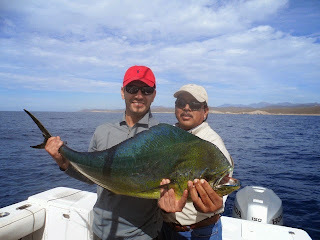 For someone like me who has fished all over the world, it was very impressive. 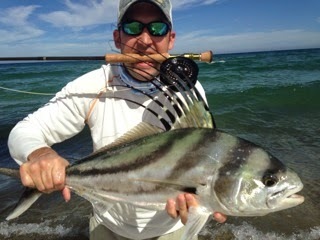 I will be bringing several more friends to fly fish over next few weeks. Great job by you and the entire Baja Anglers team. 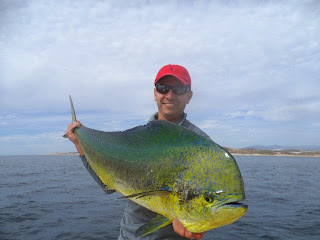 Hope to meet you and buy some Baja Anglers gear in the near future. 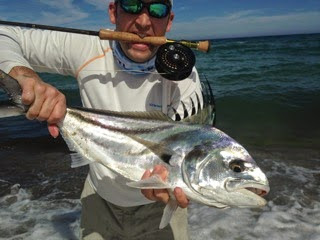 Drado fishing has been really good on most days.